Come and see the bushland this spring in Minim Cove Park! There are plenty of birds, flowers and weeds! Birds and flowers can stay, the weeds have to go! Our plantings along the bush trail may need a water if rain is not forthcoming this week! Plenty to do for all ages and abilities! Be sunsmart, bring a water bottle, sturdy shoes and long pants! Tools and morning tea provided! The bushland needs you for Bushcare’s Major Day Out at Minim Cove Park off Fairbairn Street. There are weeds to pull and pruning away vigorous climbers around the remnant Grevillia’s. This is instead of end of August Sunday busy bee! Students and their parents from Scotch College are helping us again this year by planting along this path. The plants are all local plants that once grew here! This path will become a bush trail! Would you like to be part of it? Meet at the lower gate area from 9am to 11.30am on Sunday 7th June 2015. Wear old clothes, sturdy boots and sunprotection! Expecting a sunny 22 degrees! Lend a hand in Minim Cove Park on Sunday 26th April 2015 from 9am to 11.30am. We have seeds of the native spinach plant, collected from the few plants at Garangup beach to be direct seeded along the beach to increase numbers further along the river. Old shoes for wading in the shallows of the river are advisable if the tide is high! We also have seeds of the native pellitory herb to be seeded under a tree we have been keeping weed free. Pellitory is the preferred plant for the yellow admiral butterfly. 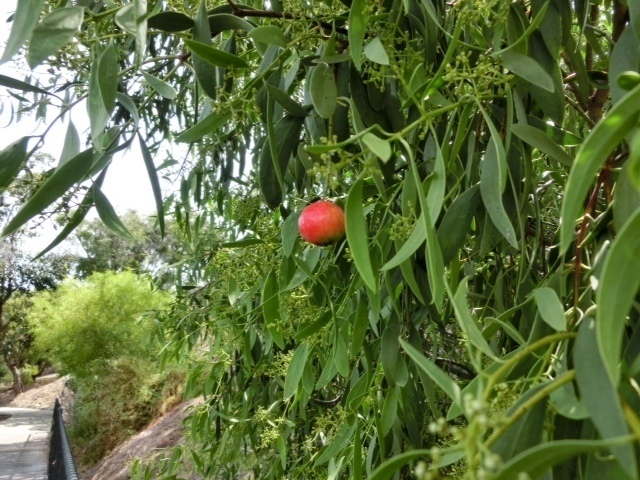 There is a small amount of native pellitory left in the bushland because it is a prolific seeder. The recent rains have germinated weeds in profusion. It is a perfect time to make an impact before the natives germinate. Predicted to be a beautiful 24 degrees! There are plenty of jobs to do! I hope you can make some time to come and enjoy the bushland , good company, while caring for your bushland. Old clothes, sturdy shoes and a water bottle! It can be quite hot still so take precaution of the sun! Morning tea provided! 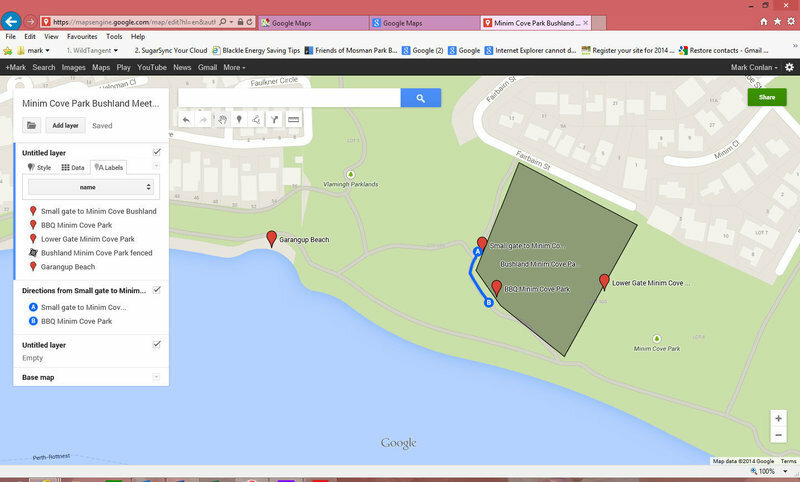 Meet from 9am to 11.30am at the top gate, fenced area of Minim Cove Park off Fairbairn Street. Prediction for a pleasant 30deg, so a hat, sunscreen, water bottle and strong shoes advisable. Morning tea and tools provided! Mosman Park community fair also this Sunday afternoon from 2pm to 6pm, where we will be showcasing our bushland group. Come down and help man our stall while listening to premier Jazz vocalist, Libby Hammer and other live entertainers. Mann Oval, Lochee street. These pretty seeds are from our attractive cyclops wattle. If you want to find a bobtail lizard in the bushland, just look under this wattle where the seeds are its treat. Rocky Bay members have been able to sort these seeds for us to store in the APACE nursery seed bank for future plantings. Join us Sunday 1st March 2015, 10am to 12noon at Garangup Beach meeting place under powerlines. Closest parking is the eastern carpark in Hutchinson Avenue, Mosman Park. Second entrance to Minim Cove Beaches is directly in from Stone street, enter river beach at sign on peppermint tree. We are cleaning up rubbish, asthma weed and collecting native spinach seeds for redistribution! Wear old shoes for walking in the river, be sun smart and bring a water bottle. Friends of Mosman Park Bushland save Minim Cove Park. A brief history of fire in the area. 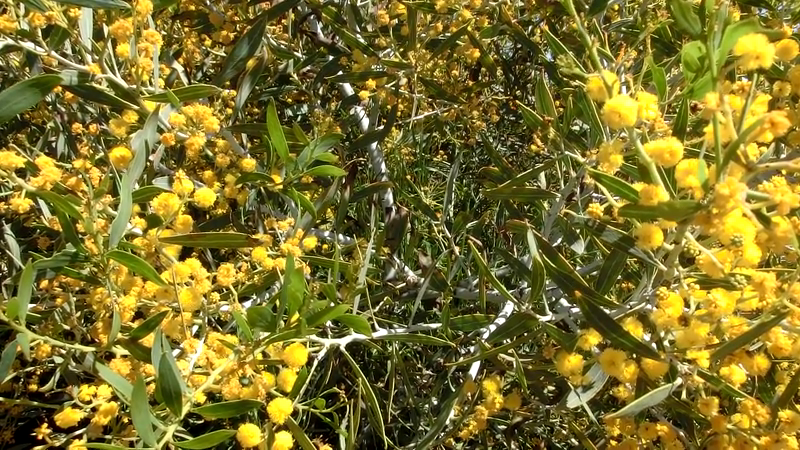 The importance of White Stemmed Wattles for Blue Butterfly Habitat.